ECOTAXI is the most popular choice among pedicab riders. The design fully conforms to the Transport for London and Public Carriage Office guidance, including all essential safety features. 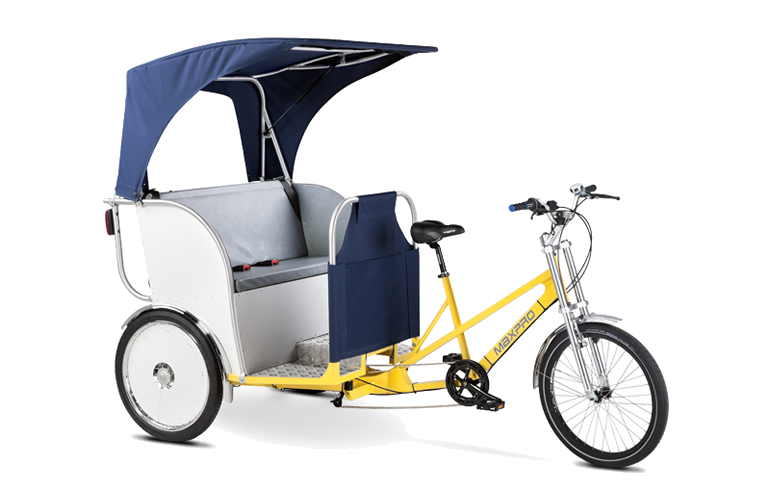 Thanks to its modern and innovative design, Ecotaxi is one of the lightest pedicabs available, with a total weight of circa 69kg. EcoTaxi has already received great feedback from all our clients for being functional, comfortable, safe, and easy to maintain. Modular design is one of the key advantages in owning a Maxpro trike. You can have a modern pedicab, classic rickshaw or handy cargo bike and all this can be done in literally couple of minutes.